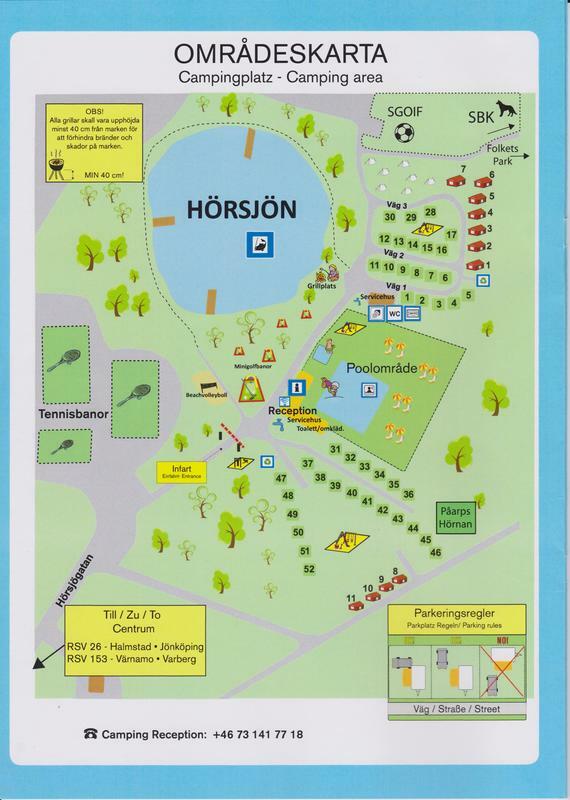 The campsite has 42 spacious pitches with electricity and also places for tents. There is a good and clean service building with showers and toilets. The service building is free to use. Dogs and cats are allowed. There is a possibility to cook food at a stove, in a microwave and in an oven. There is a possibility to empty the chemical toilet and the waste water tank.